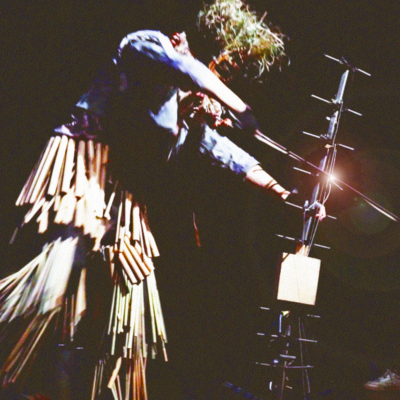 Half instrument, half human, 'Bamboo Mustard' is an entity of primal energy dressed in bamboo cane trousers, a conker-collar and a grass mask. Natural material and scavenged scrap has been reconstructed to turn the discarded into sound-objects for spontaneous music making. Join the chaos across a soundscape of communal sound making and alter egos.